Acme. Noun. The highest point or pinnacle of excellence or perfection. 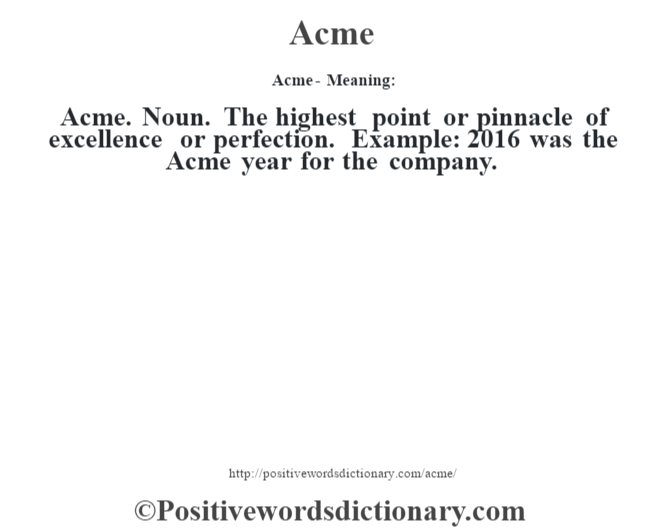 Example: 2016 was the Acme year for the company.